From our family to yours, with love and pride ~salute! Order using PayPal. You don’t need a PayPal account. Just click below and you can use your credit or debit card. 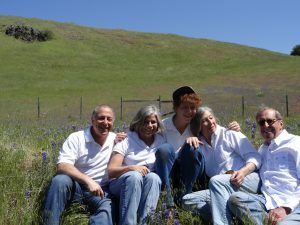 Our family-owned and operated boutique olive oil concern started in 1998, when Burt and Raleigh Fohrman, their son Jeremy Olsan, and Jeremy’s wife Ann DuBay decided to make the finest extra virgin olive oil possible. 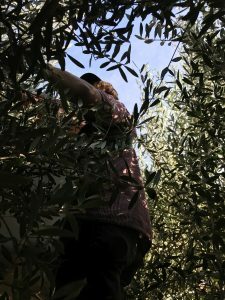 We wanted to produce olive oil the old-fashioned way, deciding to forego mechanical equipment (with the exception of a weed whacker), which means hand picking, field blending, and stone wheel cold-pressing their award-winning unfiltered extra virgin olive oil. Doing it our way is by far the most costly method of producing extra virgin olive oil, but the reward is there for the tasting. 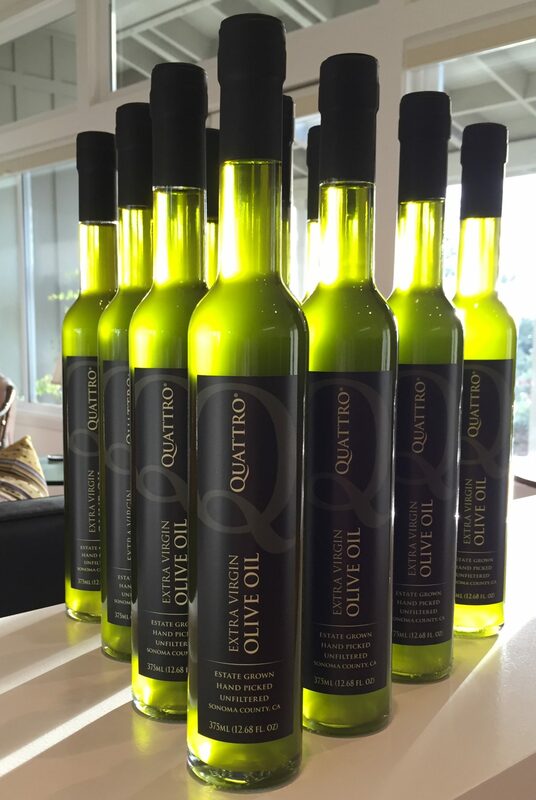 The four Italian varietals of olives used to produce Quattro® Sonoma County Extra Virgin Olive Oil are sustainably estate-grown in the nurseries and orchards of Riebli Point Ranch, situated on the highest point of the Mayacamas Mountains amongst the oaks, and above the famed vineyards of the Russian River Valley below. 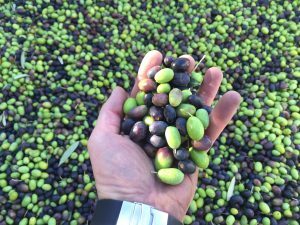 We pick, often starting before sunrise and continuing after sunset in one harvest so our olives are mixed and pressed within hours of coming off the trees. This results in an artisanal olive oil with fresh and peppery notes making it perfect for rustic salad dressings, pastas, or simply dipping bread. WINNER OF BEST OF SHOW, BEST OF CLASS, and GOLD MEDAL AT THE LOS ANGELES INTERNATIONAL EXTRA VIRGIN OLIVE OIL COMPETITION.